Located in Central Europe, Austria is a landlocked country bordered by the Czech Republic, Slovakia, Germany, Hungary, Slovenia, Italy and Switzerland. The country was a centre of power in Europe when it was ruled by the mighty Habsburgs. Although today it’s relegated to being a minor player in the European Union, Austria offers some impressive destinations in the continent. 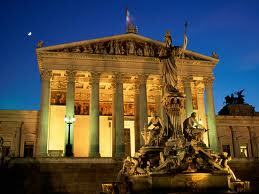 Austria is the country of startling contrasts, from the soaring Alps to the verdant swathes of the Danube Valley. This European beauty is noted as much for its historical buildings, awe-inspiring museums and galleries, as for its world-class skiing conditions and breathtaking mountain scenery. I only had the chance to visit Vienna and Salzburg but overlanding from Hungary to the Austrian capital gave me a general understanding of the whole country. 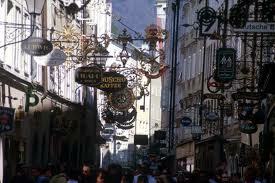 The capital Vienna was once the citadel of the Habsburgs who ruled the country for over 600 years. The city is an architectural gem and a centre of music from the medieval times. 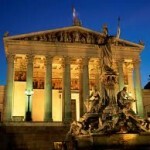 The Hofburg (Imperial Palace) and the adjoining Augustinian Church are two of the marvels of architecture. Since my mother studied there as a teenager, walking around the city woke up old memories and made all of us feel like we had been there before. The city of Mozart, Beethoven, Haydn, Schubert, Strauss, Brahms and Mahler was a legendary experience for a musician like my mother. 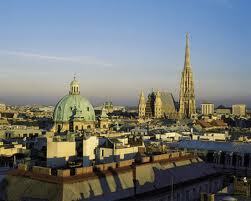 Few cities in the world glide so effortlessly between the present and the past like Vienna. 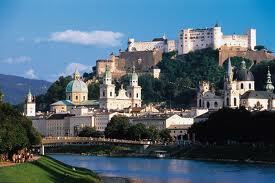 On the other hand Salzburg, the city that gave Mozart to the world, is a picturesque abode surrounded by high mountains. 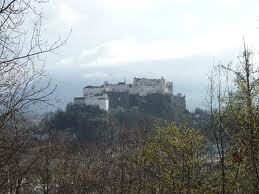 The tour of Salzburg is incomplete without a visit to the 11th-century Hohensalzburg Castle, which was the only thing we managed to see because we were there for a very short time. Four kilometres to the south of Salzburg is the interesting Hellbrunn Palace whose grounds contain trick fountains and water-powered figures. 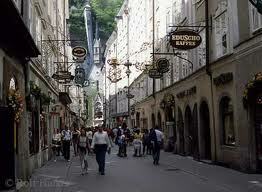 Unfortunately I visited Austria many years ago so I can’t give you more key information about what is going on today. One thing is certain. No matter how many years have gone by, Austria and culture are an inseparable unit. 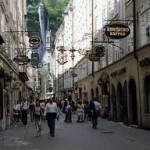 In the country where Mozart composed and Strauss taught the world to twirl, you won’t need to search hard for culture. It waltzes right up to you.